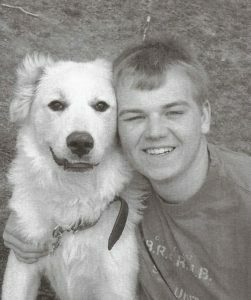 On January 8, 2009, Joshua Tessmer, 19, was last seen by his father in the vicinity of 6000 Block North Mayo Trail, in Pikeville, Ky. Authorities believe that he was possibly walking along the Big Sandy River when he accidentally fell in around the Levisa Fork area. It’s also believed that he could have possibly been intoxicated at the time, but as far as I know, that’s mere speculation. His baseball cap was found laying on the river bank, along with some other unnamed evidence that suggested he had fallen into the water. Extensive searches have been conducted by local law enforcement and the AFD Dive Team, as well as cadaver dogs that were brought in by the Kentucky Search Dog Association. His body still remains unfound, and police do not suspect that foul play was involved. KSP Pikeville 606-433-7711. Paul Aaron Triplett, 20, was last seen with his unnamed girlfriend on January 7, 2002, in the Alice Lloyd College campus area in Pippa Passes, Ky. After he was reported missing, a helicopter search was done of the area but nothing was found. Sometime later (no date was mentioned that I could find) his truck was located in the parking lot of the Good Samaritan Hospital in Lexington, Ky.
Aaron lived in the Wayland area of Floyd County, so there’s no real reason that anyone knows of for his vehicle to be located so far away. His mother believes he was murdered, and she thinks she knows who did it… but at this moment hasn’t got enough evidence to warrant an investigation. If you know anything about the disappearance of Paul Aaron Triplett, please contact KSP Hazard at 606-435-6069. David Brown, 24, was last seen on November 23, 1991. According to NamUs he was last seen at the Christian Community Center near Morehead, Ky; however, the KSP website says he was last seen around the KY 344 area in Vanceburg, Ky. There’s a distance of approximately 40 miles between the two locations, which to me seems like quite a lot when talking about the last known location of someone who has gone missing. If you know anything that can clarify the specifics of David’s case, please contact this website. If you know anything about his disappearance, please contact the Morehead KSP at 606-784-4127.